Cloud computing is a state-of-the-art Internet technology being recently adapted by enterprises. The cloud computing models are implemented by business to improve existing practices. With improvement in the standards of the Web and affordability of mobile devises, the customer has accepted the online way of shopping. Cloud computing has been extensively used to deliver e-commerce, Customer Relationship Management (CRM) and Enterprise Resource Planning (ERP). E-commerce models have undergone considerable changes in order to attract customers online. 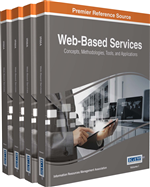 This chapter showcases the requirement of e-commerce model to integrate cloud computing technology. This chapter puts forward cloud computing applications for E-commerce, CRM and ERP by describing the significant characteristics of the cloud. For enterprises to bring into play cloud based e-commerce, CRM and ERP, certain significant issues need to be handled. These issues are the points of discussion in the chapter. In addition, the chapter introduces big data framework for building efficient e-commerce framework. The combination of e-commerce and cloud computing research focuses on the technical level, therefore, cloud computing based e-commerce application framework will have a high practical value (Li & Deng, 2009). Wang (2012) introduced a system that enhances the e-commerce in the cloud computing setting. He formulated modern model for the problem exploration. He also determined relevant challenges of e-commerce framework based on cloud computing. Wang’s prime objective was to recommend the basic concept of developing contemporary e-business models based on cloud computing, and exploring complementary issues and suitable solution and illustrate how to use the influence of cloud computing. Efforts were made to resolve the problem of the transaction security in consumer to consumer (C2C) E-commerce. A valuation model was proposed based on cloud model theory (Jie, 2010). (developed an Online Selling Syndicates system with Spring framework and several Apache open source projects for this market based on Software as a service (SaaS) model and analysis of customers' requirements, multi-channel and multi-tenant are supported by the system (Sun and Yuan, 2012).